People love a moist cake as much as they hate the word moist, but that is the price to pay for a seriously delicious sheet cake. 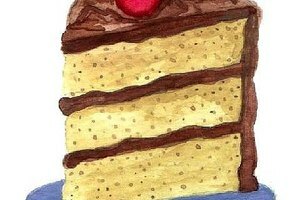 By adding pudding to cake mix or pouring pudding into a baked cake, everyone who cuts a slice of the cake will love the next level to which the pudding raises the cake. With a few tips and a versatile recipe for you to make your own, adding pudding to cake mix to make vanilla pudding cake, as well as other flavors, will become second nature. The first of two ways to add pudding to cake mix is to bake the pudding inside the cake by combining the two pre-packaged mixes together. By adding pudding to cake mix, the cake is further stabilized due to the gelatin in the pudding. 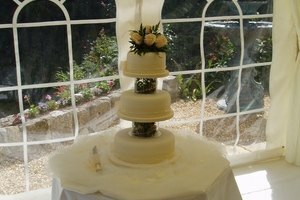 A moist cake is a given with the addition of pudding, but adding pudding to cake mix will help the cake maintain a fluffier texture, too. To add pudding to cake mix, do not make the pudding ahead of the cake. Whisk the dry pudding mix together with the dry cake mix to ensure they are thoroughly combined. Proceed to make the cake using the instructions on the cake mix box. Pour in the water, vegetable oil and eggs, and bake at the instructed temperature for the recommended length of time. When the cake comes out of the oven, loosen the edges with a knife and enjoy the first slice of warm, luxuriously textured cake. The second of the two ways to make cake mix with pudding is to add prepared pudding to an already baked cake. This is often referred to as poke cake. While adding pudding to cake mix increases the moisture level of the cake, poke cake skyrockets the effect. Note that the cake will be denser and less fluffy in texture using this method. To make a vanilla pudding cake using the poke cake method, mix all of the ingredients per instructions on the cake mix box and bake. While the cake is baking, prepare a box of instant vanilla pudding. Cook-and-serve pudding can also be used, but it is more time-consuming. 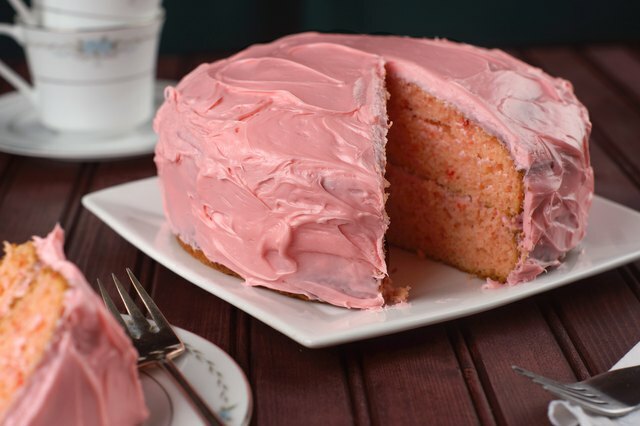 When the cake comes out of the oven, use a knife to loosen the sides and use the handle of a wooden spoon to push holes through the cake every half inch or so. Pour the pudding over the cake and allow it to be absorbed. Allow plenty of time for a poke cake to rest, at least eight hours. 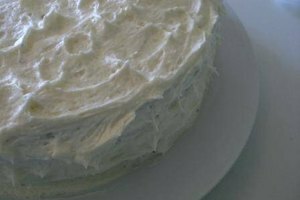 This allows the cake to absorb the pudding so that it is moist and not a sloppy mess, especially when it is still hot and runny. If you are in desperate need of a fast poke cake, pick up a pre-made cake, like a pound cake. Cut it into layers to line the dish you are using and poke holes through it. Pour pudding over the layers and place in the freezer for an expedited poke version of an ice cake. While vanilla pudding cake, chocolate pudding cake and strawberry pudding cake are always favorites among a crowd, the options are endless for cake and pudding flavor combinations. Whether you're making a poke cake or adding dry pudding to a cake mix, these combinations will add a bit of surprise and zest to recipes. 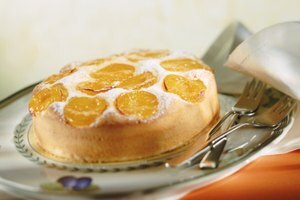 For a citrusy lift, add lemon, strawberry or orange pudding mixes to a vanilla cake mix. Orange and chocolate also work well together. Spice things up by adding gingerbread, pumpkin spice or candy cane pudding to chocolate cake. To subtly add complexity to chocolate or vanilla cake mix, mix in coconut cream, caramel, butterscotch, white chocolate or pistachio pudding.